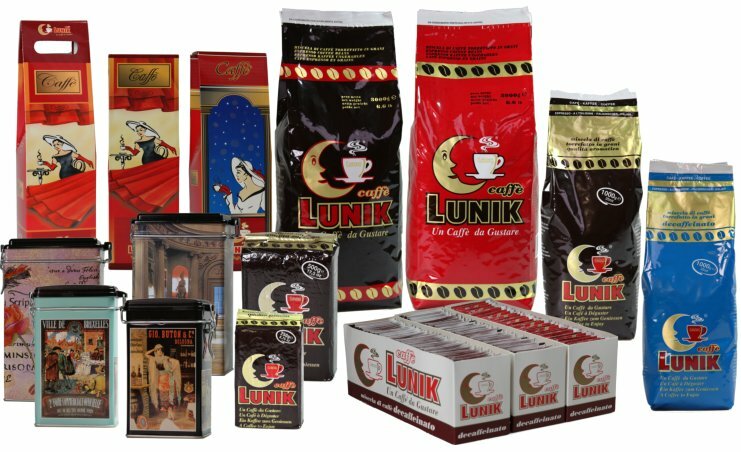 CAFFE’ LUNIK mainly works in the sector of bars and sees to delivery directly through a highly qualified retailing network. Continuous quality, excellent delivery services and the freshness of coffee let operators fill clients, by offering coffee with an incomparable taste. A careful selection of coffee from the beginning and perfect roasting methods are the features which give coffee aroma, taste and sweet smell. Packaging assures the best preservation and keeps freshness and aroma unaltered. The client can drink a good espresso both during the happy hour and the snack. For this reason, a cup of coffee serves an important function in a café. So, that is why choosing the quality of coffee is essential to receive compliments.